Keep your car as cool as Mickey Mouse, even in the hot summer! 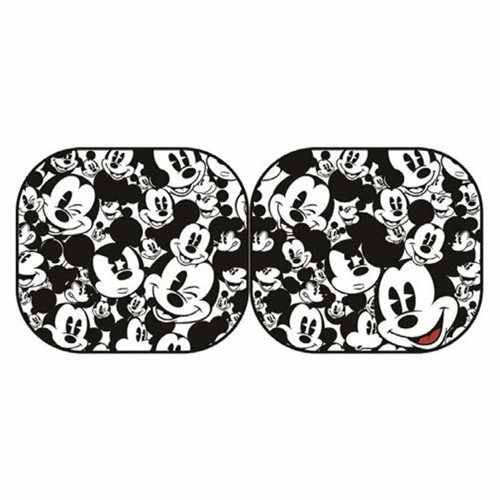 This Mickey Mouse Expressions 2-Piece Magic Spring Sunshade is covered in different Mickey facial expressions in red, white, and black. Cool, huh? Includes two panels. Each panel measures 28 1/2-inches by 31 1/2-inches. Ages 18 and up.